How Can Swoop Patagonia Help You? We help over 1,000 people a year organise incredible Patagonian experiences. We've got the knowledge, relationships, and experience to help you plan a trip that matches your dreams, budget, and appetite for adventure. Whether you're interested in booking a single hike or the holiday of a lifetime, we'll first spend some time talking about your ideas for your trip. 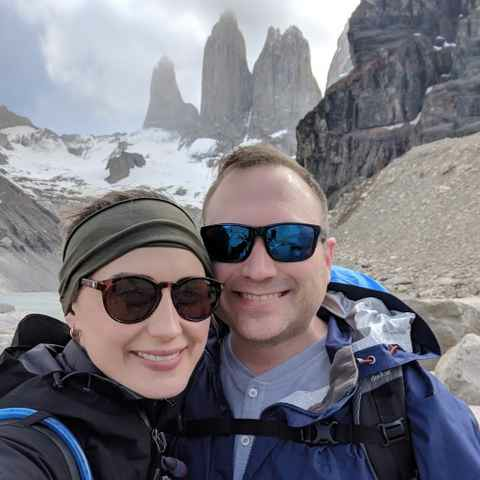 We love helping people plan adventures to Patagonia, and with over 15 year's experience we can help you decide when to travel, where to go and what to see. We'll provide advice and inspiration and together, we'll help you choose the perfect trip or craft your dream itinerary. Booking directly with our partners in Patagonia is great for independent travellers arranging most of their trip themselves. We’ll talk about your dreams for your trip, listen to your plans and suggest the right activity, lodge or cruise for you, then introduce you to the partner we think will suit you best. You’ll benefit from our advice and experience, and pay exactly the same as if you’d found the partner yourself. Find Out More. 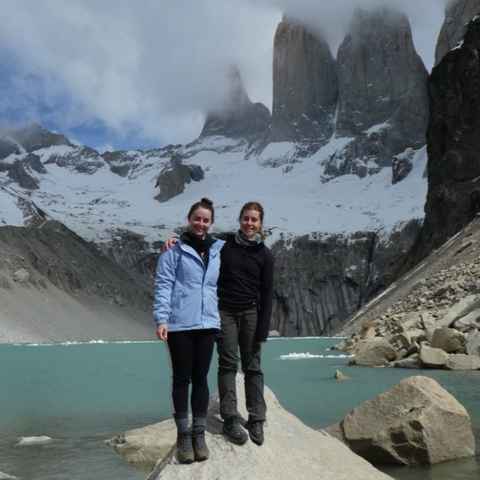 With 15 years' experience in Patagonia, we’re experts at creating itineraries. We'll work with you to design a 2-3 week - or longer - holiday based on your exact requirements, whether that's helping you see the highlights of Patagonia or creating something more bespoke. We'll be on hand to help you before, during and after your trip; from the moment we've booked it all for you to the moment you return home. Find Out More. The itinerary was so informative, we referred to it a lot. Every transition went smoothly and every Swoop-booked person we interacted with was so friendly. I appreciate all the information that Swoop has on their website. It was very helpful in getting familiar with some of the different options, treks, experiences, etc. I also liked the fact that Swoop staff have done the treks and were so enthusiastic about the area and the experiences. That was definitely helpful and encouraging. We couldn't have booked this trip without Swoop. In particular, the accommodations recommended to us along the Carretera Austral were perfect. I have and will continue to recommend working with Swoop for any interested friends. Swoop replied to our queries in a timely manner... For someone that is 2000km away, that is very reassuring. Top to bottom, the trip was fabulous. If I were to do anything differently, it would simply be to have stayed longer to be able to explore further. The trip went like clockwork (with one minor exception), so I'll certainly say that Swoop earned my trust and I'd be more than comfortable to book again. I would love to visit other destinations with Swoop. These destinations are challenging to book/research/prepare for, so having a specialist to talk with beforehand is really important and helpful. I was really pleased with the service I received from Swoop. I was travelling alone and didn't know much about Patagonia when I first started thinking about this trip - Swoop helped me plan the trip of my dreams and made it extremely easy! From day one Swoop listened to what we desired and engaged to help us define exactly what we wished for our adventure. They team helped us through every detail, from researching and purchasing gear to the play by play of every day. It was great. You can arrange your trip in a way that suits you: we'll help you plan and arrange a tailor-made itinerary, and then we'll book it for you, or we'll help you find the perfect local partner in Patagonia, and you can book directly with them. A multi-day activity trip, such as a hiking, kayaking or horse-riding trip, can be arranged to fit in with the rest of your plans. Guided trips are typically for small groups of no more than 8 people, but private trips and self-guided trips can be arranged too. We can help solo travellers and couples find like-minded groups to join. We can help you choose the perfect hotel, lodge or eco camp from which to explore the national parks by day and enjoy fine food and wine by night. Expeditionary cruises are also a great way to immerse yourself in Patagonia’s scenery and wildlife from a comfortable base. Group Tours are fixed-itinerary trips of around 15 people. With set departure dates and prices making them easy to plan around, they can be either a simple and sociable way for solo travellers or anyone on a budget to fit the highlights of Patagonia into a short time frame, or a great core to a larger adventure. We can help you find the right group tour for you. 1. By helping you choose several multi-day activity trips: We can help you choose several multi-day activity trips, such as hiking, kayaking or horse-riding trips, and integrate them into your own itinerary. 2. By helping you see the highlights of Patagonia: If you're looking to see the unmissable highlights of Argentina and Chile, we'll help you piece together the perfect itinerary. 3. By planning and arranging an entire bespoke itinerary for you: Whatever you want to see and wherever you want to go, we'll help you create a customised itinerary - including flights, buses and accommodation - doing the hard work so you don’t have to. 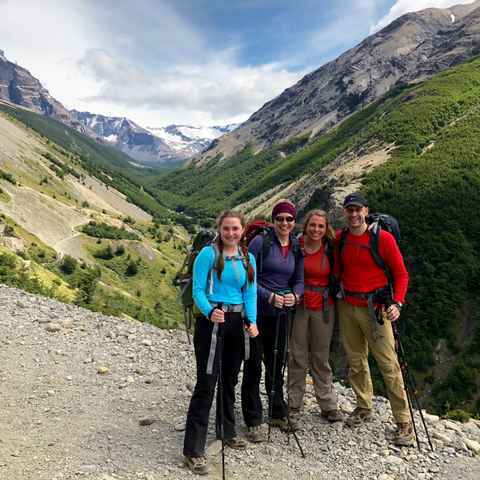 The price you pay for booking with us is no more and no less than if you were to book directly with one of our local partners in Patagonia, whether you're booking a single hiking trip, joining a group tour or arranging a four week bespoke itinerary for your whole family. We help our partners to market themselves and their trips, activities, and accommodation to the international market; so when we introduce you to them and you book a trip, they pay us a small commission, and when you arrange your tailor-made trip with us, we are able to negotiate better rates with our partners and charge a small mark-up, to cover our time. Either way, the price you pay through us is the same as you would pay by going direct, and you'll benefit from our free, impartial and expert advice. We only help people with extraordinary Patagonian and Polar experiences, because we feel passionately about these regions. We lived and worked in Patagonia long before our Swoop days, and each of our specialists still visits every year. We cover the whole of Patagonia - no other travel agent offers you such variety. We know all our partners' specialisms, strengths, and weaknesses and we can match them up with your needs and budget. You can book your entire, personalised trip with us; we can recommend activity partners so you can book trips directly with them; we can help you choose and book a lodge or hotel from which to explore, or we can match you up with a group tour. We're a team of Patagonia specialists with decades of collective experience working and travelling throughout the region. Through our knowledge and our network of local partners, we help over 1,500 people a year find the Patagonian adventure that matches their dreams, their budget and their appetite for adventure. Ready to plan your Patagonia adventure? Whatever your budget, group size, length of stay, preferred activity or appetite for adventure, we can help.